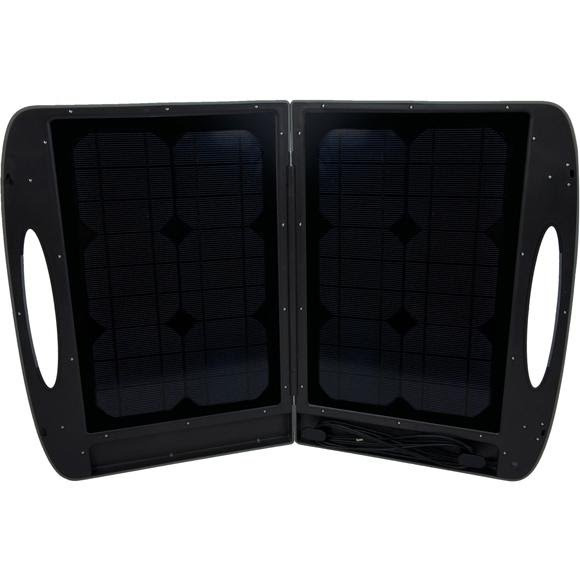 From the beach to the campground, with the 30M Solar Panel Briefcase, you can capture solar energy and convert it into useful power that you can store and use. The Escape Features a sturdy body, the unit easily folds into a sleek and portable briefcase, making transportation safe and easy. From the beach to the campground, with the 30M Solar Panel Briefcase, you can capture solar energy and convert it into useful power that you can store and use. The Escape Features a sturdy body, the unit easily folds into a sleek and portable briefcase, making transportation safe and easy. And when combined with the Escape 150, this handy 30-watt unit can provide electricity to lights and small appliances or recharge communication devices.